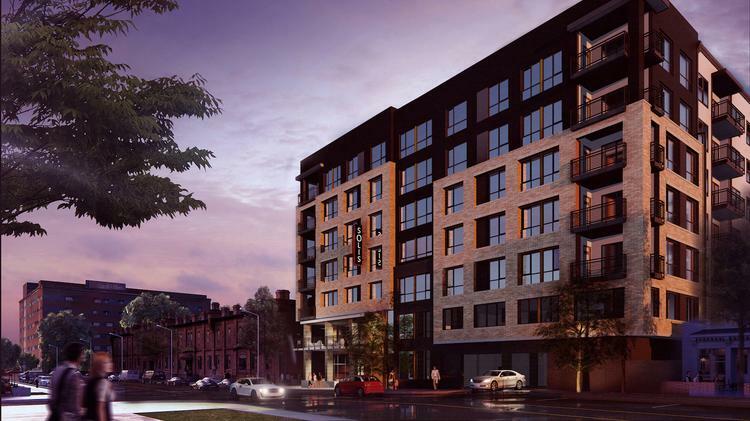 Charlotte apartment development firm Terwilliger Pappas on Wednesday confirmed that construction has started on the 194-unit Solis Brightleaf apartment building at 1005 W. Main St. in downtown Durham. The project is next to the landmark Brightleaf Square dining and retail destination, formerly the site of the now-shuttered Howerton-Bryan Funeral Home. An affiliate of Terwilliger Pappas finalized its purchase of the funeral home site June 16 for nearly $4.1 million, according to county records. Solis Brightleaf is the company’s second major development project in Durham – its third in the Triangle – following the completion of Solis Ninth Street and the Solis Crabtree apartment project in Raleigh. Terwilliger Pappas sold the 292-unit Solis Crabtree (now called Marq at Crabtree) for $58 million, or $198,000 per unit, within weeks of its completion in 2014. It sold the remainder of its equity ownership in the Solis Ninth Street project to a fund managed by Raleigh-based Blue Heron Asset Management on June 4. Terms of that deal were not disclosed. Solis Brightleaf is slated to have 194 apartment homes with an amenity package that includes an outdoor beer garden, clubroom, fitness center with a yoga room, heated swimming pool and a veranda overlooking Main Street bordering the edge of Duke University’s East Campus. The complex is scheduled to open in late 2018. Pittsburgh-based F.N.B. Corporation is providing a maximum $62.4 million in construction financing for Solis Brightleaf, according to county records. Clancy & Theys Construction Co. is the general contractor for the project. The design team includes Cline Design Architects and landscape architecture and engineering firm Stewart. Assisting in the sale of the Solis Ninth Street equity partnership were Justin Good, Jeff Glenn, Cory Fowler and Allan Lynch with the HFF commercial real estate firm. The Dickson family of Durham retained their ownership in the Solis Ninth Street project with Blue Heron.